When you’re an adult that enjoys YA a curious thing happens from time to time…you find that the reading is a bit like time traveling. Not so much in the time frames and settings that you read about, but in the emotions and memories. Quite often, I can read work by my peers and vividly recall the best and worst experiences of my high school days. I’m most attracted to books that lend to stronger recall. I want to read books about me. Admittedly, I didn’t know if I’d get such an experience when I purchased The Mockingbirds by Daisy Whitney. DISCLAIMER: Daisy is a friend. I will read and support her work no matter what. Not that she needed my help. The book had been building buzz for some time, and since its debut less than two months ago, has appeared on several ‘best of’ lists for 2010. The Mockingbirds did not require a charity read. I never heard about that sort of thing when I was growing up. That didn’t happen where I was from. Was I going to get anything out of a book so far removed from what I knew about life as a teenager? Like I said, it’s all about the recall. The skilled writer can take a reader to a place of relevancy, a time when their experiences link to those of the character’s like adjoining puzzle pieces. And, I as I read about Alex, a girl who had too much to drink and was violated in the worst way, I recalled some things. I recalled overheard conversations in the boys locker room that I wouldn’t repeat in polite company. I recalled once vibrant girls disappearing from the social landscape as if they never were. I recalled the meanness, the taking sides, the believing things that were wrong were really right because such notions were simply cooler. I recalled that in my high school there was no real justice. Just endurance. A secret society of do-gooders would’ve been welcome. 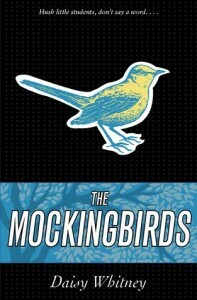 The Mockingbirds is as good as (and possibly more important than) the hot dystopian thriller, or cute girly-girl dramedy. If this book can make me–a guy 15 years removed from his last day in a high school hallway–recall the hidden atrocities children endure, what can it do for those still in the midst of class changes and cafeteria drama? Buy this book if you’re a teen. If you’re not a teen, buy 2 copies. One for yourself, and one for a teen you know. Books like this have the ability to transcend from the “great story” category to “modern day parable”. They teach. And, once something is learned, it can’t be unlearned. The lesson here: Silence isn’t golden. I wish I could recall learning it then instead of now. You ever see one of those masked magician shows? You know, where the guy tells you how magic tricks really work at the risk of being blackballed by other magicians across the globe (sidenote: being blackballed by these guys would seem much scarier if they were more like Voldemort and less like Penn and Teller…anyhow). Today, that’s me. I’m going to dispel some of the myths and murmurs I’ve heard over the years relating to what writing is and what writers do. 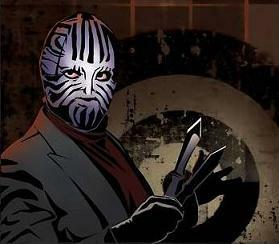 Without a mask. Because I’m fearless. In this edition, I want to talk about the idea that it’s just easy for (some) writers to knock off story after story like they’re a print factory (Cough-STEPHEN KING-Cough). Obviously, when it comes to personal experience I can only speak for myself, but I know enough writers, and have read enough about writers by writers to infer that what I’m about to share with you is pretty universal. Oh, I promise, and my word is ironclad. Anyway, the idea may come in a flash. In its skeletal form it might be the right mix of suspense, and comedy, and have a dog in it. That’s the fun part, the dreaming it up. Getting it on paper legibly, with the words in the right order is another story all together. You have to do the work (I’m in the midst of an anxiety filled revision at this very moment), and there will be times where it’s tempting to just do something less strenuous. But, the sense of fulfillment when you finish…the knowledge that someone may read what you slaved over and enjoy it…dulls the birthing pains. It’s never NOT hard, folks. But it is worth it.